They can quickly become a cluttered, tangled mess of chaos. At some point in the future, technology will make them a thing of the past, but… until then… they are a necessary problem. Just think about how many cables we rely on for phones, computers, Internet, t.v., tablets, and that’s just skimming the surface! We need the wires but they can easily become a cluttered, ugly eyesore in our home, car, or work space. Through the years, we’ve tried different ways to manage the mess created by lots of cords. Especially when we spend a lot of time untangling them and promising we won’t let them get that way again. 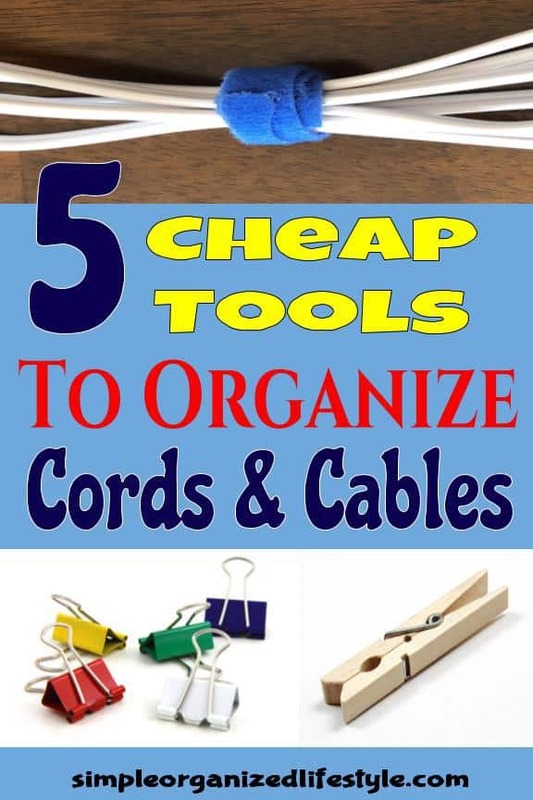 These five cheap tools and ideas for how to keep cords organized have proved to be the best solutions over time. 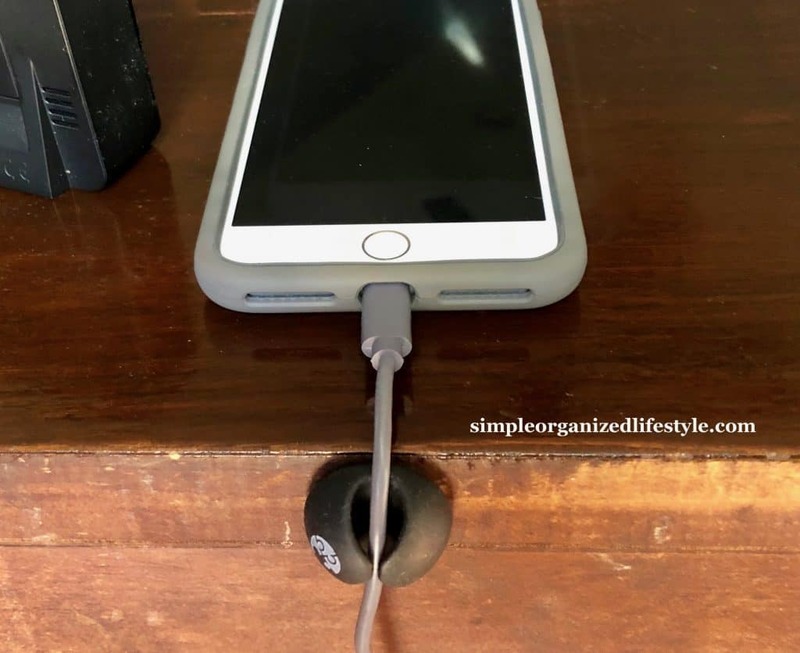 They are simple but help solve the problem of cord chaos and cable clutter! 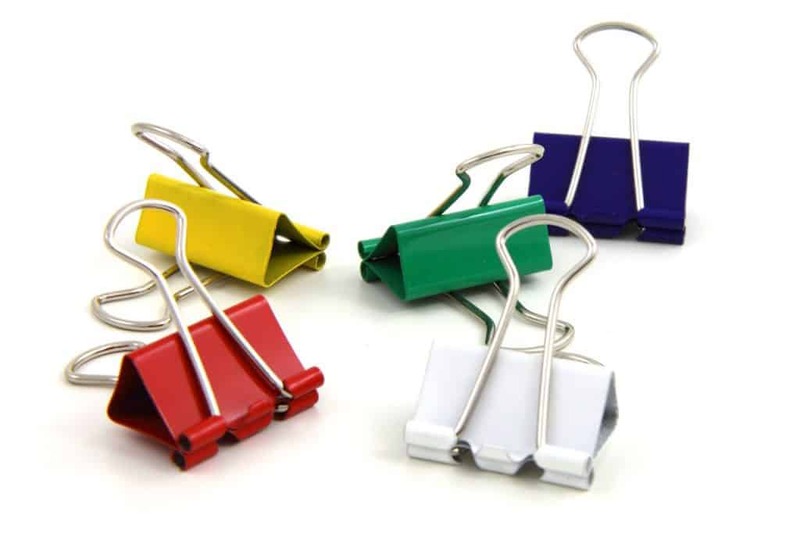 Binder clips are good for so many organizing hacks! Binder clips work to control cables by simply weaving them through the metal loop and securing them to a surface. 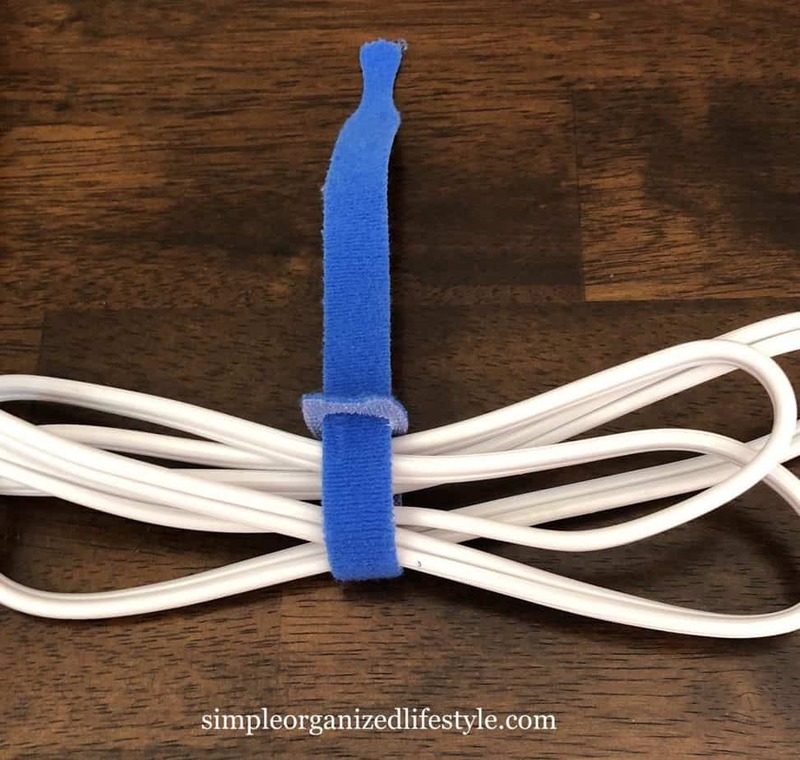 They come in all sizes and are one of the easiest tools to create a DIY cord holder. They are great to keep in a travel bag or at work for managing cables on the go! When velcro is used to secure cords, it just looks neat. It is also useful when you don’t want to risk damaging a surface. Another benefit of velcro is that it’s typically reusable! Vecro is one of those multi-purpose item that helps with everything from managing cables to securing luggage tags and other objects. 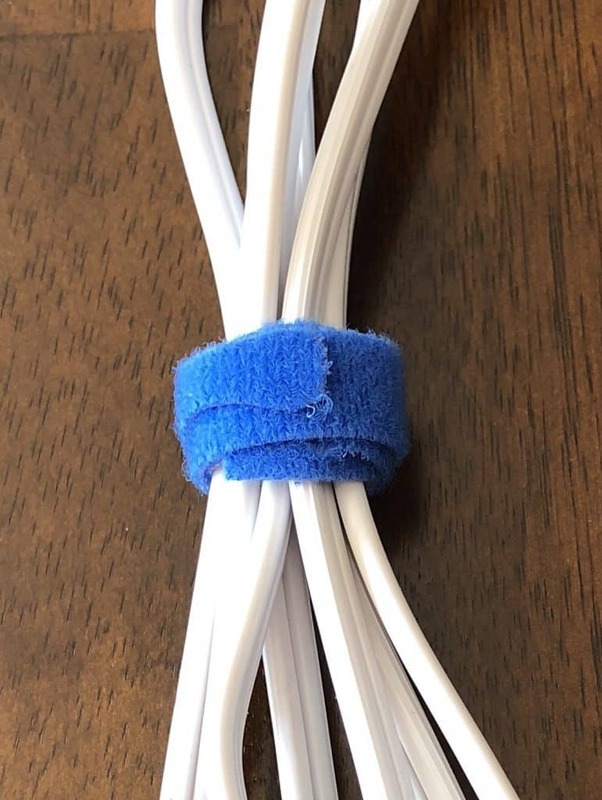 They are stretchy when you have a bundle of bulky cords and need a little flexibility to make them work. I also like that you can write on them with a Sharpie. In this first photo, you can see how much more room I had to wrap around the cord. I didn’t need it so I wrapped it around tight (could have trimmed it as well). 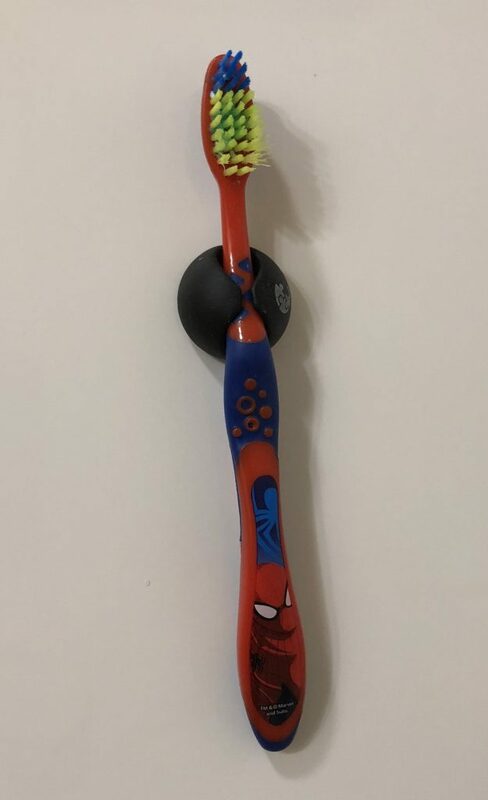 I love that it’s reusable and adjustable! 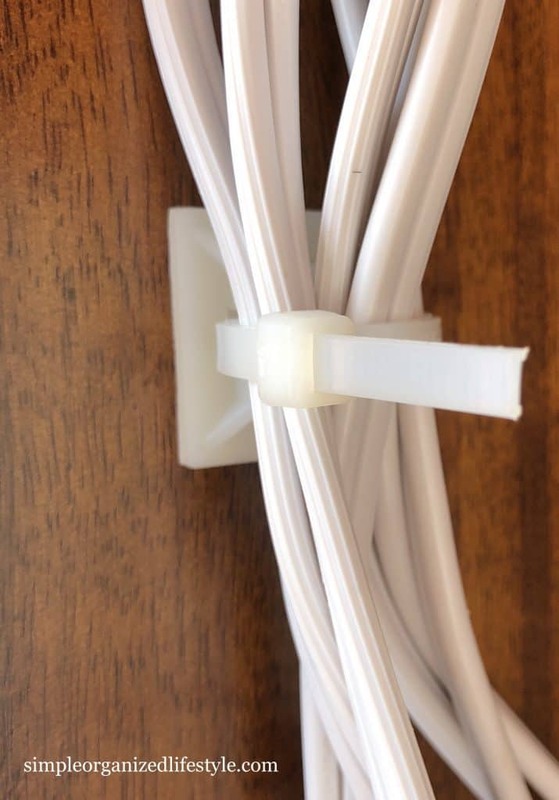 Cable ties, or zip ties, are cheap for a large quantity at home improvement stores. They are useful for so much more than just cable management! We’ve used them in the garden, in the RV, and just about anywhere we’ve needed to hold something together. When our son was learning to walk, we used them for baby-proofing by attaching pool noodles to some sharp surfaces! 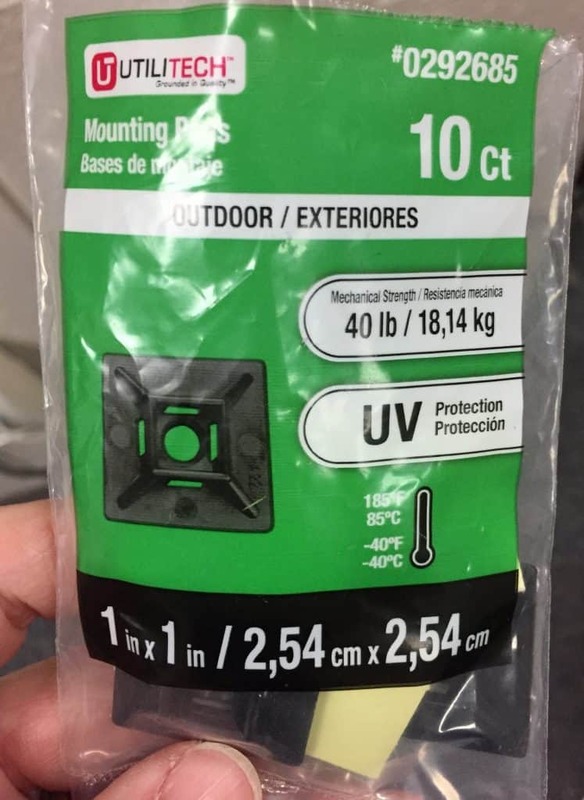 A trick I learned from a co-worker (who works with cable management on a daily basis) is inserting zip ties through a mounting pad. These are also found at a home improvement store in the same section as the zip ties. They come in black or white. These are heavy duty and made for outdoor use. 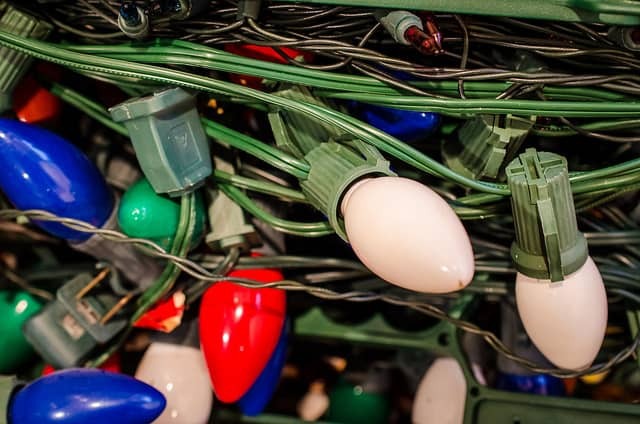 I have a pack at home that we use to hang Christmas decorations on the front porch and to secure some cables that are holding an LED light under a cabinet. Below is an area under a cabinet where I use a mounting pad with a zip tie to keep the cords from dangling. There are two things I wish I had invented. Post-it notes and clothespins! Although there’s not as many clothes hanging out on lines anymore, clothespins have taken on new uses over time and continue to be a handy tool. They are great for organizing those smaller cords and earbuds. This is an excellent way to keep them secure while traveling. Clothespin hacks are endless! This video shows the use of clothespins to hold earbuds along with some other cool uses to make life easier. Sometimes you need to secure a cord in place and it’s a surface where cords constantly slip behind it, such as a nightstand. These cable clip organizers stick to a surface and prevent cords from sliding around. No more feeling around in the floor for a lost cord! The back of our nightstand table. 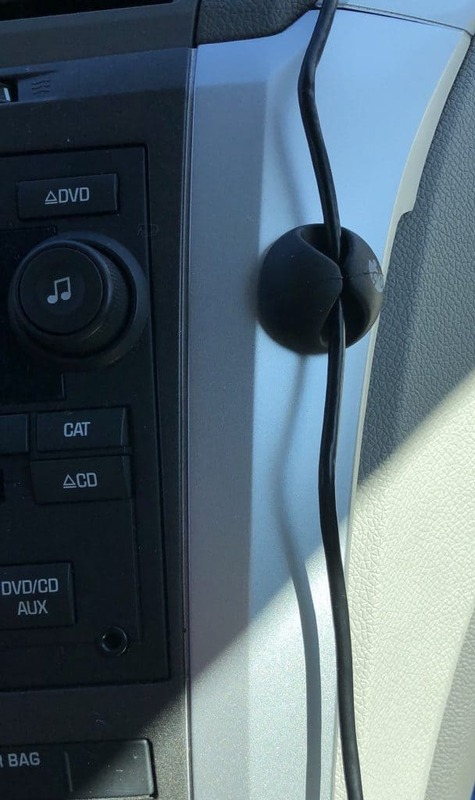 I use one in my car so that my USB connector is not dangling on the driver’s side. It works great! 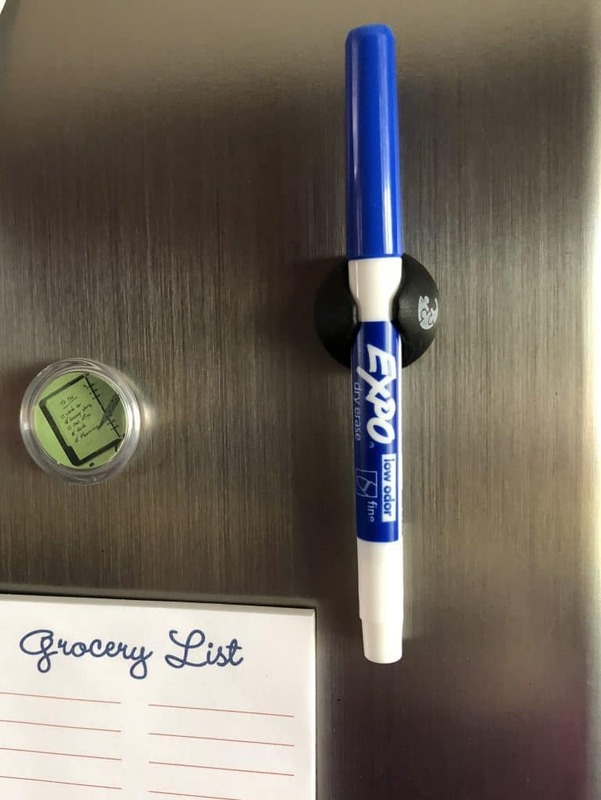 I know they are called cable clips, but the rubbery material makes them flexible enough that I’ve repurposed them to hold my son’s toothbrush and an Expo marker on the fridge. They are turning out to be handy for much more than managing cable clutter! The adhesive is strong so you may want to try them on the back or underside of an area depending on what type of surface it is. These clips are awesome! Hopefully this gave you some ideas for how to organize cords and keep them from causing chaos. Ultimately, having them in one place and easily accessible saves time and sanity!